In real life cats and dogs often do not get along, but in this beautiful thematic collection the animals live peacefully side by side. And you never need to take the dog for a walk in the rain or empty the cat litter. 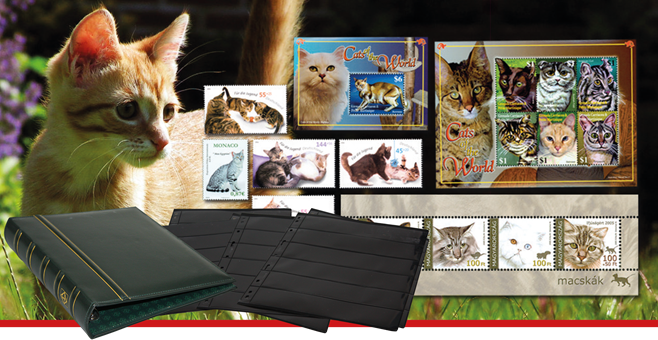 Approximately once a month you will receive hand selected stamps with cats for around 100 DKK.